Breezy, inviting, and delightful-just like a day at the beach- The Beachcomber's Companion is a charming illustrated guide to collecting and identifying shells and other coastal treasures. Each of the entries includes fascinating descriptions, fun tidbits, and detailed artwork that makes it easy for readers to identify their own beach discoveries. A handy resource section offers tips on how to prepare before setting out on a shoreline adventure: from the beachcomber's commandments to must-have items for every beachcombing toolkit and advice on preserving shells. Awash with information and gorgeous watercolor illustrations, this is an essential companion for all who love the ocean's shore. 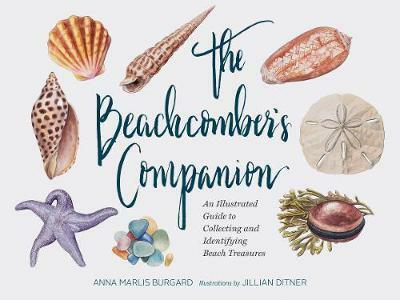 "The Beachcomber's Companion answers all your questions about the creatures that call these shells home and the best ways to collect them.inspires a new appreciation for the wonders of the shore." -Providence Journal "Lifelong beachcomber Burgard covers each type of shell with a combination of natural science, history, folklore and other contextualizing info, making even the most humble shell a storied object." -BookPage (Lifestyles Top Pick) "Folks with beach houses across the South take note-you'll want this beautiful little book displayed proudly, waiting for a guest to thumb through the serene watercolor illustrations to learn the names of what they found on a seashell-hunting trip." - Garden & Gun "It's like strolling near the waves with a dear friend who, because she's devoted much of her life to the study of islands, is familiar with what washes up on, or what lives on, that liminal zone where the sand and surf interact. You'll want to enjoy all of what Burgard has to share in this Beachcomber's Companion." -The Austin Chronicle "Loaded with interesting information, charming anecdotes, and useful hints, Burgard's Companion does a fine job of helping beachcombers both understand and appreciate their treasures." Anna Marlis Burgard is an author, lifelong beachcomber, and the cofounder of IslandsofAmerica.com. She lives in Cohoes, New York.